Posted On January 07, 2014 by Team iCynosure. The last week of 2013 was fun, exciting and there seemed to be so little time for everything. One of the fun things was the interactive Blogger meet organised by L'Oréal Paris India. Guilty of being extremely late for the event, whatever time I had was well spent with Make-Up and hair Expert Namrata Soni, fellow bloggers and the newly launched Kajal Magique. Just a day earlier I witnessed the launch of the first of its kind product in the range from L'Oréal Paris by none other than the gorgeous Aishwarya Rai Bachchan. The moment it was announced I wanted to get my hands on it. So I was delighted to head home with it after the meet I couldn't wait to try it. Whats L'Oréal Paris Kajal Magique all about? The first of its kind from the house of L'Oréal Paris, the Kajal Magique has been received with loads of expectations and enthusiasm. The product claims to be a new generation formula powered with mineral pigments for deep intense colour. It is formulated with care ingredients to give a soothing finish that promises to be smudge-proof and waterproof for up to 12 hours. Ingredients include care formula of VitaminE, Cocoa Butter, Olive Oil Esters and VitaminC Derivatives. What shades is the product available in? 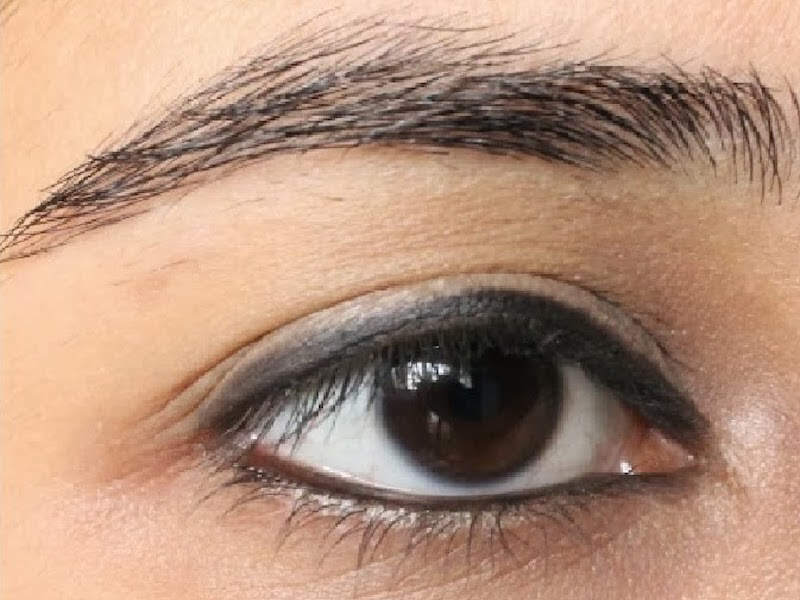 The newly launched Kajal Magique is available in Black, Supreme Black. Packaged as a regular little black pencil with a cap highlighted with a hot pink circular strip. The best part of the product is it's a retractable system that requires no sharpening. Priced at INR 245 for 0.35g, it's life is 30 months from the date of manufacturing. I usually stay away from a lot of eye make-up as I have extremely sensitive eyes and at times use numbered lenses. Backed by the L'Oréal trust I've used Kajal Magique almost every day and have had nothing to complain about. I love the creamy texture, the deep black colour and its easy application. It takes a couple of strokes to achieve my desired colour on the eyes, however, it is achieved without any irritation or roughness. And to answer the question 'Is the Kajal, Magique?' Shouting out loud, yes it is. Go Grab it! To know more about L'Oréal Paris Kajal Magique visit here. Have you tried L'Oréal Paris Kajal Magique? Do share your product experiences in the comments below.